Kevin Bennett was born and raised in Austin, Texas and graduated from the University of Texas at Austin with a degree in Economics. As a member of his Fraternity, Mr. Bennett held numerous leadership positions, including serving as the chapter’s philanthropy chair, where he earned the Fraternity’s National Humanitarian award for his leadership and service work. Assisting and advocating for others in times of need has always been important to Mr. Bennett. 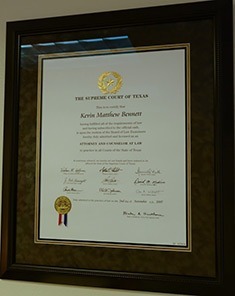 Mr. Bennett earned his law degree at The South Texas College of Law in Houston, Texas. In 2005, U.S. News & World Report ranked the Trial Advocacy Program at South Texas number one in the nation, and it consistently ranks among the top 10 every year. During law school, Mr. Bennett spent time working for the Honorable Judge Jim York of the 246th District Court of the State of Texas. During this time, Mr. Bennett developed a passion for the practice of law and a true devotion for wanting to help those in need of legal assistance. Mr. Bennett defends individuals who are facing criminal charges stemming from DWI, assault, theft, drug possession and various other misdemeanors and felony crimes in Austin, Texas. Mr. Bennett takes the defense of his clients very seriously and will work tirelessly to tailor a defense to every case. 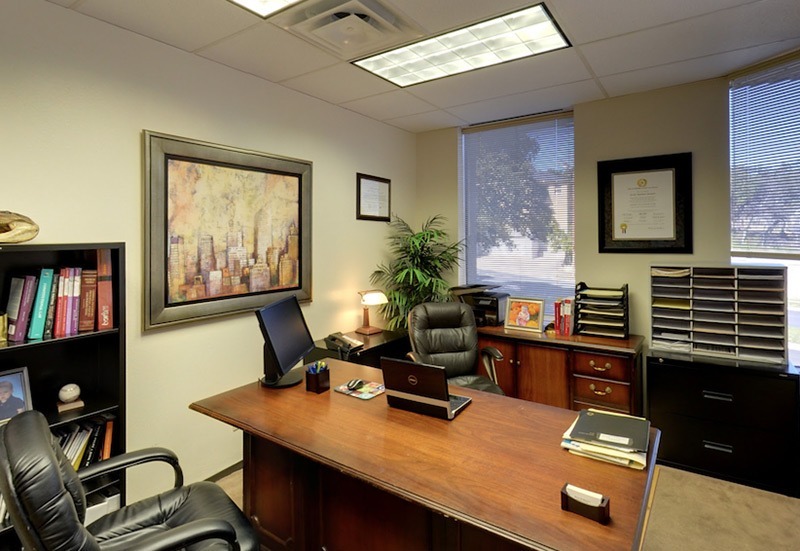 Mr. Bennett strives to treat each case as though it were his own and to make each client feel like they are his only. 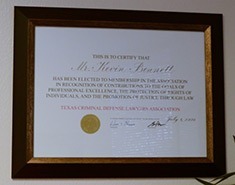 Mr. Bennett is a member of the State Bar of Texas, Texas Criminal Defense Lawyers Association, the Austin Criminal Defense Lawyers Association, NORML, and the Better Business Bureau of Travis County. Mr. Bennett is also a member of The National College of DUI Defense and DUI Defense Lawyer’s Association. Recently, Lawyer Bennett was elected to be a Fellow of the Texas Bar Foundation. Fellows of the Foundation are selected for their professional achievements and have demonstrated a commitment to the justice system throughout the State of Texas. 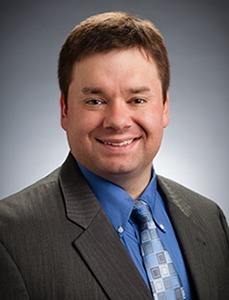 In his spare time, Mr. Bennett enjoys spending time with family, attending sporting events, fitness, travel, being outdoors, and the performing arts. Mr. Bennett also serves on his Church’s Mission Committee.